TBEX Events and our conference hosts, Visit Billings, are delighted to announce Toby O’Rourke, President of Kampgrounds of America, Inc. (KOA), as a keynote speaker at TBEX North America 2019 in Billings, Montana. KOA is the world’s largest system of private campgrounds and leader in outdoor hospitality. As President of KOA, Toby oversees the programs, services and marketing that support the brand’s 515+ franchised and company-owned locations across North America. Founded in Billings in 1962 by entrepreneur Dave Drum, KOA has provided iconic outdoor experiences for millions of families throughout the United States. The company’s commitment to data-driven decision making and its ability to shape the camping experience based on what campers want are fundamental principles in its ongoing success. Toby’s work at KOA is strengthened by a background in brand management, software development and consulting. She began her career as a programmer, working in business and technology consulting for Deloitte and STA Group in Chicago, IL. She transitioned to a marketing career following graduate school and served in brand and digital marketing roles for Sara Lee Corporation in Downers Grove, Illinois, and Whitewave Foods in Broomfield, Colorado. Toby joined KOA in 2011 as the company’s digital marketing director where she was charged with progressing KOA’s approach to online advertising, mobile delivery and social media. She advanced to Sr. Vice President of Marketing where she drove the launch of the company’s first integrated advertising and public relations campaign, and was instrumental in the development of KOAs brand segmentation that has realigned their portfolio based on guest experience. Toby was promoted to the position of President in 2018. Prior to becoming President Toby served in the role of Chief Franchise Operations Officer, overseeing franchise operations and technology. Toby earned a Master of Business Administration degree from the Kellogg School of Management at Northwestern University and a Bachelor of Arts degree from the University of Notre Dame. In 2017 she was named to the Forty Under 40 marketer list by Advertising Age magazine. 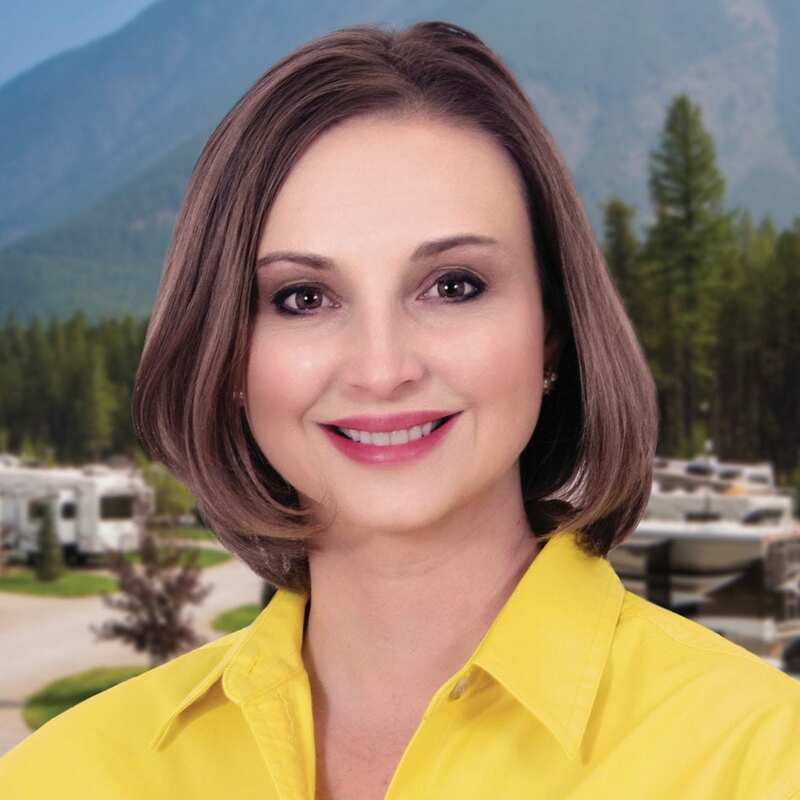 She was recognized in 2018 as one of the 10 Most Influential Women in the RV Industry. REGISTER for TBEX North America 2019 in Billings, Montana, and join us September 11 – 13 as we welcome Toby, Caroline Makepeace, dozens of other accomplished speakers, 600+ travel bloggers, industry professionals, and travel brands for our 21st TBEX conference!